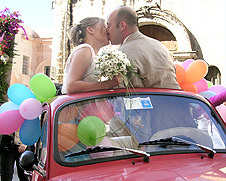 Weddings in Sardinia, by Motus in Sardinia is the wedding planner for you! If you're planning your wedding abroad and would like help making the all-important arrangements, consider "Weddings in Sardinia" by Motus in Sardinia as your Wedding Planner. We specialize in Weddings in Sardinia, Italy, and we plan everything in a friendly way. We are flexible and we try to accommodate any special desire. We have successfully organized weddings in Sardinia, and assisted customers from Italy, Norway, Spain, Ireland, United Kingdom, and Canada in their wedding vows planning and in the implementation. We plan and arrange reception venues, transportations, paperwork, legal requirements, accommodations, flowers, wine theme wedding, music, photography and whatever you would like to do on your very special day. 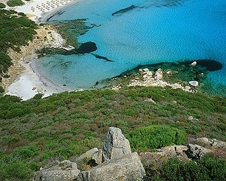 Sardinia is a place of heaven in the middle of the Mediterranean, close to many European airports. You may combine your wedding with a seaside holiday in Sardinia and take advantage of already being in one of the most famous among the honeymoon destinations.